Spending half a billion dollars to widen a mile of I-5 will have exactly zero effect on daily congestion. The biggest transportation project moving forward in downtown Portland isn’t something related to transit, or cycling (or even bringing back shared electric scooters). 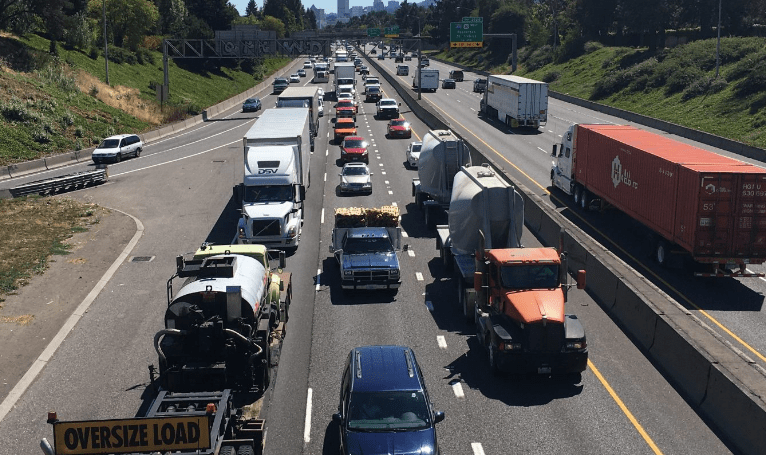 It’s a proposal to spend half a billion dollars widening a mile long stretch of Interstate 5 adjacent to the city’s Rose Quarter. Build it and they will drive. Wider freeways produce more traffic, not less congestion. The project’s been advertised as a congestion-busting, bottleneck removal project. But sadly, even if the state spends a half billion dollars here, daily traffic conditions won’t improve. We know that’s true because of the well-documented phenomenon of induced demand. And as it turns out, even state and local transportation experts conceded that will be the case. Time and again, cities around the US and around the world have widened freeways with the avowed purpose of reducing congestion. And its never worked. One need look no further that the current US record holder for widest freeway, Houston’s 23-lane Katy freeway. It was most recently expanded in 2010 at a cost of $2.8 billion to reduce congestion. It was even touted by road-building advocates as a poster child for freeway widening projects. 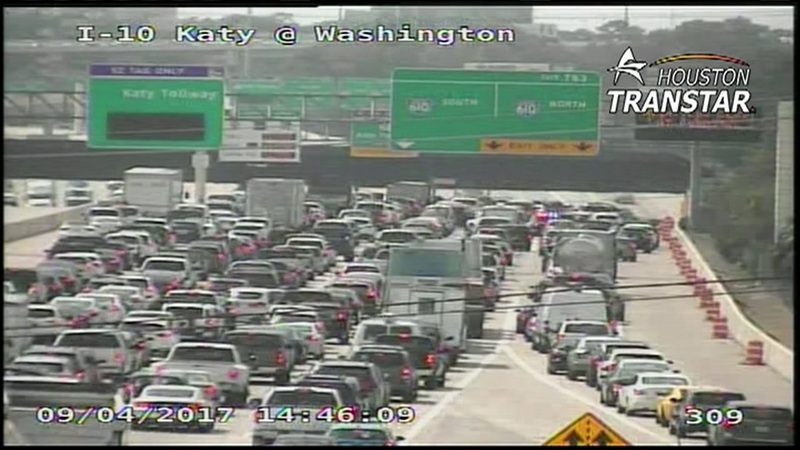 But, as we’ve reported at City Observatory, less than three years after it opened, peak hour travel times on the Katy Freeway were 30 to 55 percent longer than they had been before the freeway was widened. The added capacity was swamped by induced demand, and congestion–and pollution and sprawl–were worse than ever. No matter how many lanes you add, it ends up like this. If there were ever any doubt that this was the case, all one had to do was pay attention to what happened to Seattle when the city abruptly closed its Alaskan Way viaduct, a limited access highway carrying about 90,000 cars a day through the city’s downtown. (For reference, I-5 at the Rose Quarter handles 121,000). City leaders warned of Carmageddon, gridlock and Viadoom, that downtown streets and freeways would be overwhelmed by the traffic usually carried on the viaduct. But in the two weeks following the viaduct’s closure, traffic was at or below normal, as the Seattle Times reported “the cars just disappeared.” The reason is the inverse of induced demand: when you reduce the amount of urban freeway space, traffic does simply back up, it actually goes away (as people take other modes, change when they take their trips, substitute more local destinations for further away ones, and consolidate trips). Far from be a fixed quantity, traffic is like a gas that expands to fill the space available. This phenomenon is now so well-documented that it is referred to in the published journals of economics as “The Fundamental Law of Road Congestion.” Adding more un-priced highway capacity in urban settings only generates more traffic and does nothing to lower congestion levels. Even the staff of the two agencies most responsible for the project concede that this is the case. Mauricio LeClerc is a principal transportation expert for the Portland Bureau of Transportation. Here’s his testimony to the Portland Planning and Sustainability Commission. When we did the analysis, the congestion benefit is on the elimination of crashes—non-recurring congestion. The congestion benefit of just adding more lanes was very limited. Basically you’re fixing something. Certainly, there’s an improvement, but it’s not very large. If you are familiar with the freeway system, it’s congested to the north, it’s congested to the south, and if you’re going to I-84, it’s just going to be congested as you enter I-84. So, it has limited utility, but it does have a very significant safety and non-recurring congestion benefit. So, we’re not sure what the induced demand, if that gets modeled, it’s potential, but it’s not very large. This point was also confirmed by Travis Brouwer, a spokesman for the Oregon Department of Transportation, in response to questions posed by Jeff Mapes of Oregon Public Broadcasting. Jeff Mapes: It’s interesting, ODOT’s arguments—that’s the Oregon Department of Transportation—you know they’ve shifted a bit since the battleground has shifted now from the State Legislature to the City of Portland. And they’re emphasizing now more the safety concerns—there are a lot of crashes there—but frankly the large majority of them are fender benders and that sort of thing, and secondly, but basically, they are saying if you take care of a lot of those fender benders, its; going to reduce a lot of delays that frequently happen there. Travis Brouwer: We fully admit that this is not going to eliminate congestion at the Rose Quarter, But, we do expect it will make traffic a lot better. There’s a bit of nuance here that both LeClerc and Brouwer are alluding to: The project won’t reduce congestion, except perhaps congestion related to crashes. You’ll notice that LeClerc makes reference to the congestion benefit of the elimination of crashes and “non-recurring congestion benefit.” Here’s the translation from engineering speak: Roads get jammed up for two reasons: first, the regular daily flood of traffic at the peak hour, and second when there’s a crash. What LeClerc and Brouwer are saying is this project will do nothing to reduce the regular daily traffic jams on I-5. As to that non-recurring component, lowering congestion by reducing crashes–we’ll take a close look at that in part II of this analysis. A wider freeway won’t mean less daily traffic congestion. Even though it seems like spending half a billion dollars ought to make a difference it won’t. The Rose Quarter freeway widening project is either a half-billion dollar ritual sacrifice to the freeway gods, or the world’s most expensive piece of performance art. But there is one thing it is surely not: any kind of a solution to daily congestion on a freeway at the center of one of the nation’s most vibrant metropolitan areas.